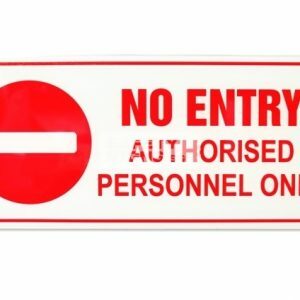 Prohibition signs instruct, advise and inform on actions that are strictly prohibited within an area or building. All the signs in this section conform to the ISO 3864 standard. 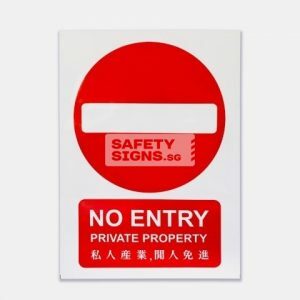 RIGID = A solid sign made from quality 2mm thick PVC Foam Board, light weight, strong and durable, easily drilled, suitable for internal and external fixing. Also available in Aluminum and Acrylic. 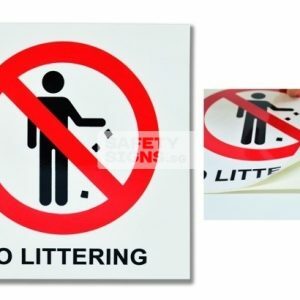 STICKER = A self adhesive Vinyl sticker , perfect for easy display, just peel and stick where necessary. 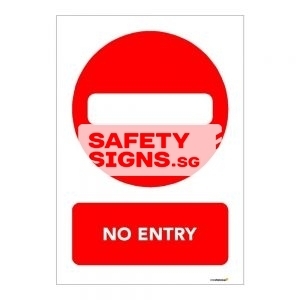 Access Restriction Prohibition Signs: These prohibition signs are mainly related to denial of entry or restriction related signs. Ex. 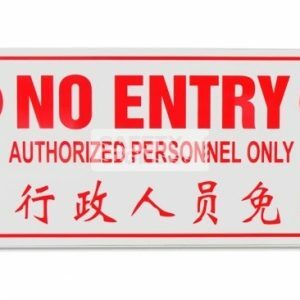 are Access forbidden to unauthorised persons, do not climb, no access for pedestrians, no admittance signs, no entry signs, no exit signs etc. General Prohibition Signs: The most common prohibition signs are included here. For ex. 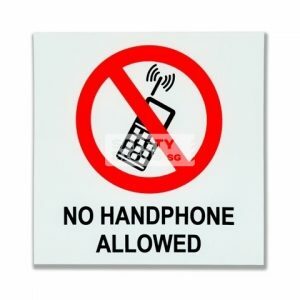 do not touch signs, do not use mobile phone signs, no ball games, no cycling signs, no dogs except guide dogs etc. 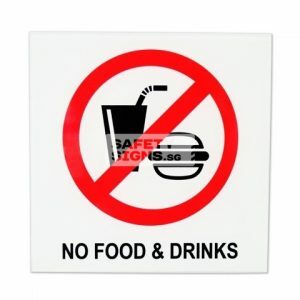 No Smoking Signs: A large variety of no smoking signs have been included here. Ex. 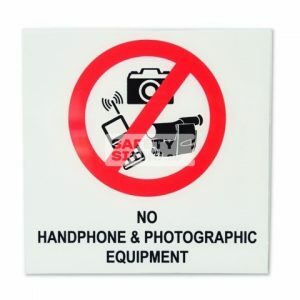 include no smoking, no smoking at counter, no smoking company policy, no smoking desktop signs etc. 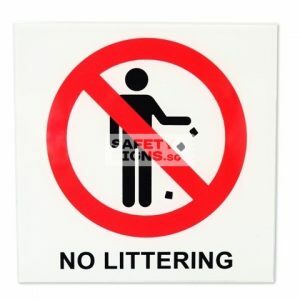 Smoking Signs: Areas where smoking is permissible need to be clearly marked with these signs. 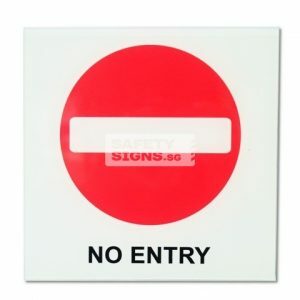 Safety Tags: These safety tag signs allow for signs to be tagged to people and machinery. Examples of safety tags include do not close sign, do not close valve sign, do not open sign, do not operate sign, do not start sign, do not switch sign off.